Dressy enough for even formal occasions, but comfortable enough for all-day lounging! 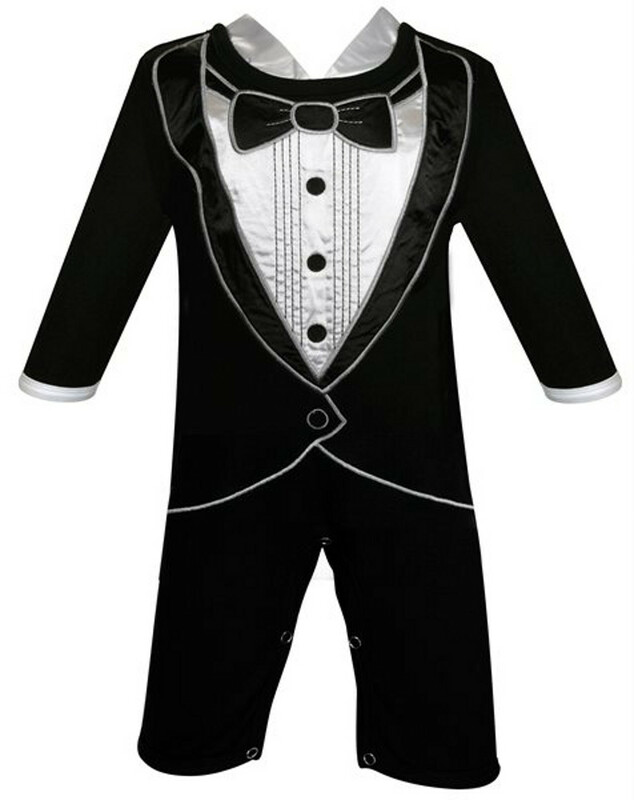 Styled to look like a tuxedo, this long-sleeved coverall is made of 100% cotton knit, with soft satin and embroidered accents. Snaps along legs and back of neck for ease of changing. Fits 6-12 months.